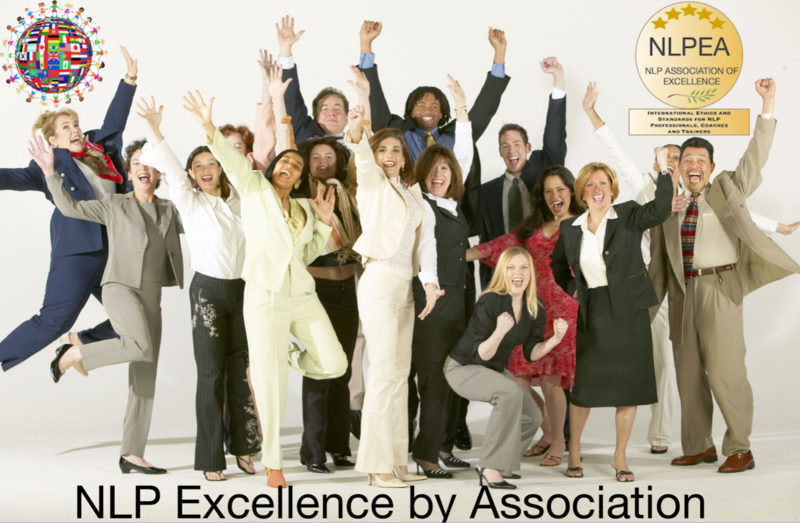 NLPEA are an independent international membership and accreditation body for NLP & Coaching professionals, leaders and trainers. Our mission is to facilitate the global distribution of NLP and Coaching skills by providing international standards for NLP practice, coaching and education. 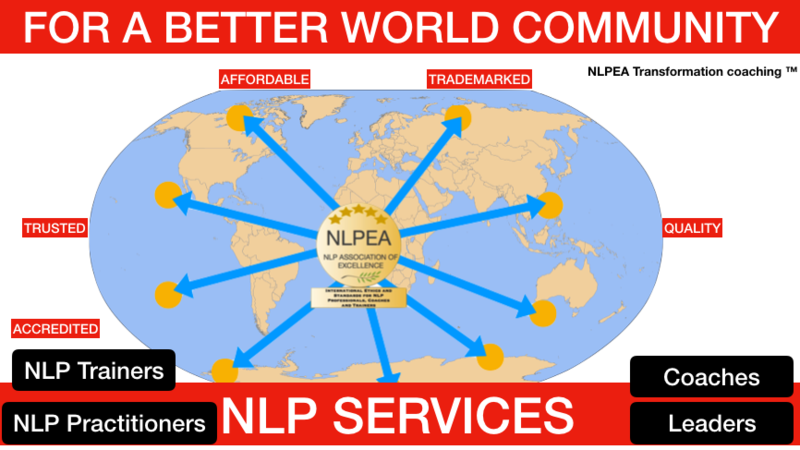 NLPEA certified NLP Practitioners, NLP Master Practitioners, NLP Trainers, Life Coaches and Business Coaches work all over the world and our aim is to ensure that they practice ethically and that the standard of service that you receive is consistently excellent the world over. We believe that NLP provides essential skills to help individuals and businesses grow and reach their true potential. NLP is now recognised as a primary skill in interpersonal communication and we want to grow our global network of NLP professionals to make these skills more widely available. If you are interested in providing NLP services or growing your knowledge of NLP to assist yourself and others then we would love to hear from you. If you are looking for an NLP professional to help you with your own coaching requirements or you are a business looking to gain from learning NLP then we can put you in touch with an NLP professional to meet your needs. 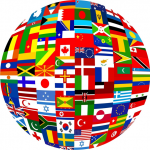 We have over 1,000 members worldwide to assist you in achieving your outcomes. We provide accreditation for Coaching training courses, NLP Practitioner, NLP Master Practitioner and NLP Trainers training courses. If you are a certified NLP or Coaching Trainer and wish to gain international NLP accreditation for your NLP courses then we would be pleased to discuss how you could meet our standards. We are not a provider of NLP training courses or Coaching training courses, however we have members who will provide NLP training or coaching training for you. We would be happy to put you in touch with an NLP/Coach trainer to meet your needs. 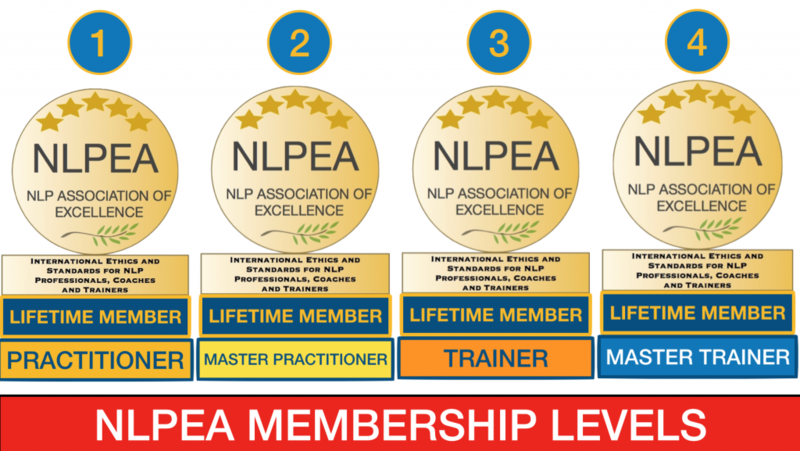 If you are taking an NLP training course or coaching training course with one of our accredited trainer members, then once you achieve your qualification your trainer will automatically register your details with the NLPEA for professional lifetime membership and you may be eligible for our Transformation Coach title. 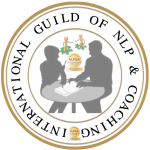 If you are an existing NLP or Coaching professional and have the qualification of NLP Practitioner, NLP Master Practitioner, NLP Coach or NLP Trainer and you wish to join the NLPEA, then we would be pleased to discuss how you can meet our membership criteria. 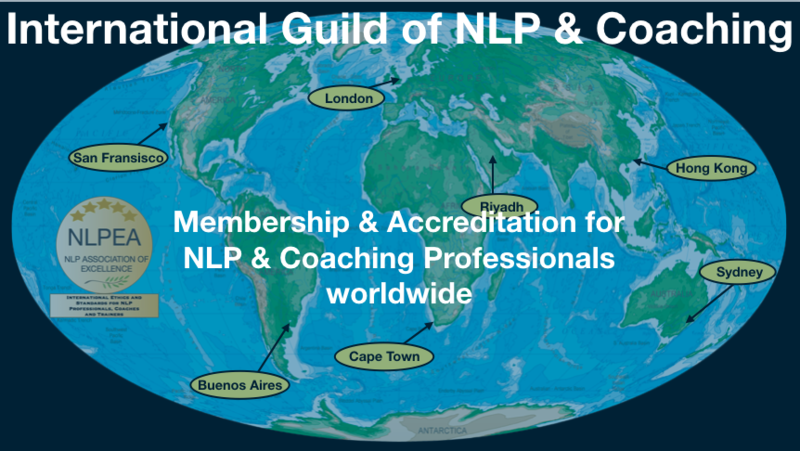 We need more NLP professionals to grow our global network. We want ensure that wherever people need the services of an NLP professional we are able to meet demand. NLPEA members are able to use our logo and marketing materials in order to advertise your services, in addition you will be included in our global lead distribution list. Join us today. NLP has many ways to help people with mental health issues. From anxiety and stress to confidence, happiness and improved self awareness NLP helps people improve their own lives and the lives of others. NLPEA wish to play a part in developing awareness of mental health issues, solutions and support worldwide. 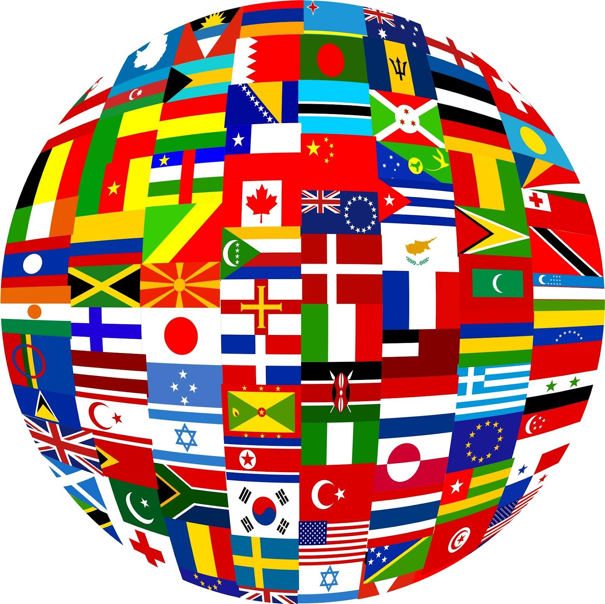 We have members throughout the world and we believe that together we can make a difference. We wish to support charities and foundations worldwide who’s purpose is to help people to improve their mental health. There are three ways that you can help us in supporting mental health worldwide. 1. You can make a personal donation to your registered local mental health trust or foundation. 2. If you have a professional NLP qualification you can organise seminars or meetings locally (if they meet our criteria then we will offer for you to use our marketing support). See below for more details on seminar format. 3. You can put us in touch with your local mental health trust or foundation so that we can discuss with them how we may be able to support them. The purpose of the seminars or meetings is to generate some donations for your favourite registered local mental health foundation. In the seminar, using occasional audience volunteers, you demonstrate how NLP can be beneficial for helping people improve their mental health. You may choose to use techniques such as anchoring, belief change, swish pattern, parts integration, timeline. Conditions – You must not charge entry fees for your seminar. Any donations generated must go directly to the foundation or charity that you choose. You may use collection boxes as long as they are provided by the charitable organisation. Any trust, foundation or charity that you choose should be government registered. Disclaimer – NLPEA cannot be responsible for the work of the charity or foundation that you choose to support. You should do due diligence on the organisation before you donate or offer your support. We also cannot be responsible for how the organisation invests your money, or donations generated. Make donations at your own risk. If you are providing seminars to support our work with mental health then we thank you and you do this at your own risk, NLPEA accept no responsibility for any outcome. If you require insurance in your domicile then you should seek to have this in place prior to the meeting or seminar. NLPEA does not accept donations on behalf of other organisations. All monies generated by any any work of NLPEA members or associates must go directly to the foundation or charity. NLPEA do not support any single organisation nor do we accept gifts or have any reciprocal agreements from such organisation. If you are interested in supporting our work then please do get in touch and tell us how you would like to help.